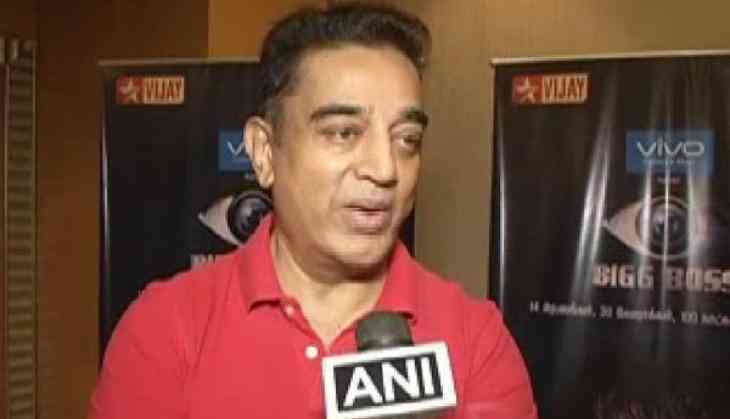 Veteran actor Kamal Haasan, who is making his Television debut with the Tamil version of reality show 'Bigg Boss,' said, if possible, he wishes to reach out to his fans through telephone. While speaking to ANI here, the 62-year-old actor also said, he craves for "applause," not "money." "It is an age when I can reach through this technology to many homes. For me, expanding my audience base is very important. More than money, it is that applause that I crave for, which can happen through this medium," he said. The 'Vishwaroopam' actor continued, "If it can happen through other medium, which can take it even further, like if I can talk to them through a telephone then I will." Adding, "All the platforms are now combining together. There is no more difference in them. I am open to all platforms. That is why I said, I will even reach my audience through telephone, if I can." Further discussing about his thoughts behind exploring this new medium, Haasan said he wants to show the "friendly side" of him to the people. On the professional front, the actor is working on the post-production of his long-delayed film 'Vishwaroopam 2' and expects to release it by this year. Other than that, the shooting of 'Sabaash Naidu,' the spin-off on his character from 'Dasavatharam,' named Balram Naidu, has been stopped presently due to various reasons.